I am a fully qualified, insured and licensed permanent makeup artist with over 15 years experience in the beauty and aesthetics industry. I am passionate about permanent makeup and providing a bespoke, personal, high-quality service to all my clients with results that are natural, complementary and age appropriate, to features, skin tone and hair colour. 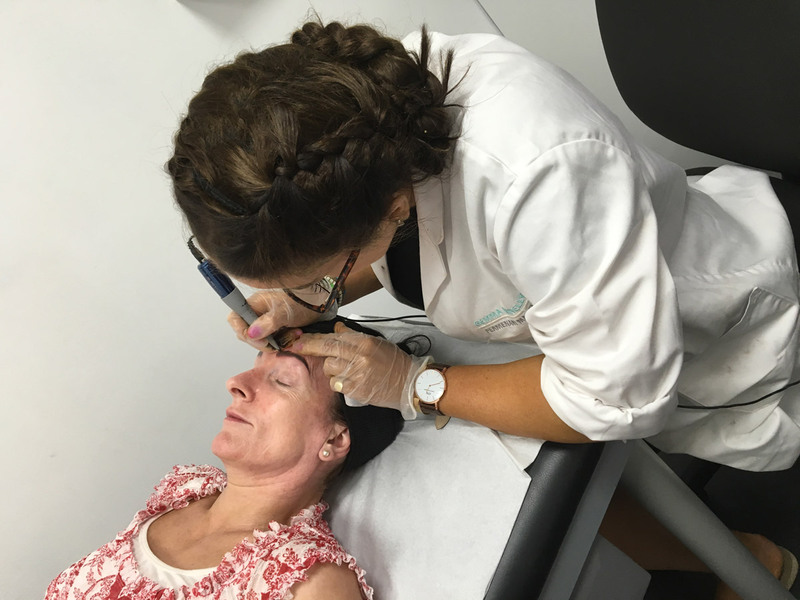 I have carried out many procedures and gain a huge sense of satisfaction when my clients are delighted with their results, and how their natural beauty has been enhanced by permanent makeup. I have experience in treating high profile clients and conduct my business with discretion and professionalism at all times. I trained with the head trainer and owner of the internationally acclaimed ‘The Permanent Makeup Academy’ who have clinics on Harley Street. Prior to becoming an independent permanent makeup artist, I held a senior position at a leading London Health Spa where I was in high demand with all my clients which included several high profile television personalities. In 2016 I was lucky enough to gain a place on Masterclass in Microblading with International Master Trainer Rita Romo of Baltic Brows. This was an amazing experience and allowed me to learn from one of the best in the business and can now confidently offer microblading as a treatment. Also in 2016, I trained with the leading training company ‘Finishing Touches’ in tattoo removal. 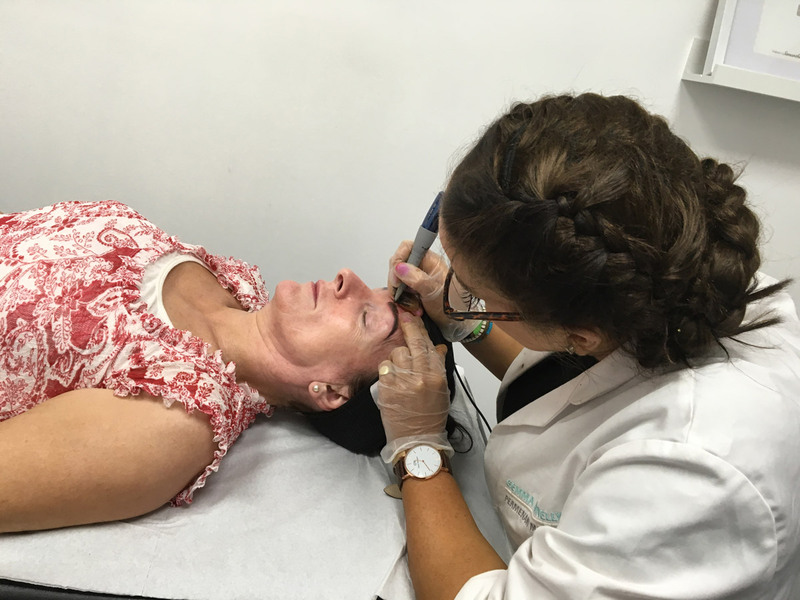 I learned how to remove tattoos using salt and saline and the ‘Rejuvi tattoo removal system.’ This has come in very useful in helping people who have experienced substandard permanent makeup. I keep up to date with new techniques and equipment and continue to attend advanced workshops and training to hone my skills. Driven by a desire to provide my clients with the best customer service and permanent makeup experience, I now focus exclusively on permanent makeup, personally performing all procedures using only the industry’s leading pigments, equipment and techniques. I hold clinics at The Caldy Clinic in West Kirby. 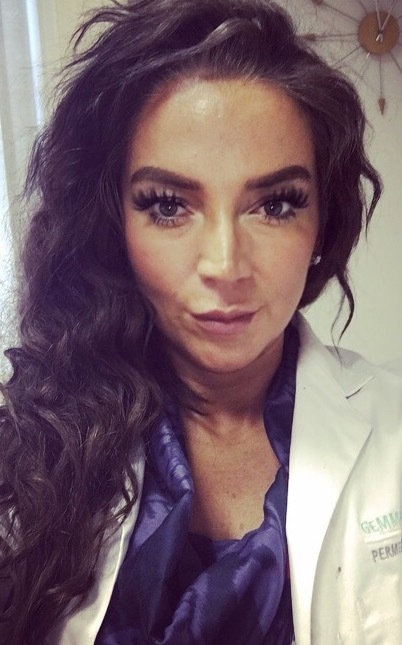 I also provide my services in clinics, spas and salons throughout the Northwest, including Award-winning skin clinic DestinationSkin in Manchester and Leeds. I also hold occasional clinics in Buckinghamshire, Berkshire and London. I use the principles of colour theory to ensure the final colour of your permanent makeup is correct. As the pigment is applied under the skin, it’s important to combine pigment colour and skin tone to achieve the right final effect. I also use neutralisers to achieve the correct colour balance. The pigments I use are of the highest quality, bought direct from the manufacturer: Absolute Perfection Pigments. Pigments can vary from supplier to supplier: they mainly consist of glycerine, isoproplyl and distilled water. Pigments are usually iron oxides, one of the most used colouring agents in cosmetics for over a century. The same pigment will look different when used on the various skin tones. Skin tone analysis is an integral part of the consultation process and, combined with colour theory, enables me to determine which pigments to use to get a correct colour balance for your permanent makeup.